When somebody says ‘Rustic French’ my first thoughts go to beautiful artisan bread, fresh out of the oven with a smell that instantly makes my mouth water. 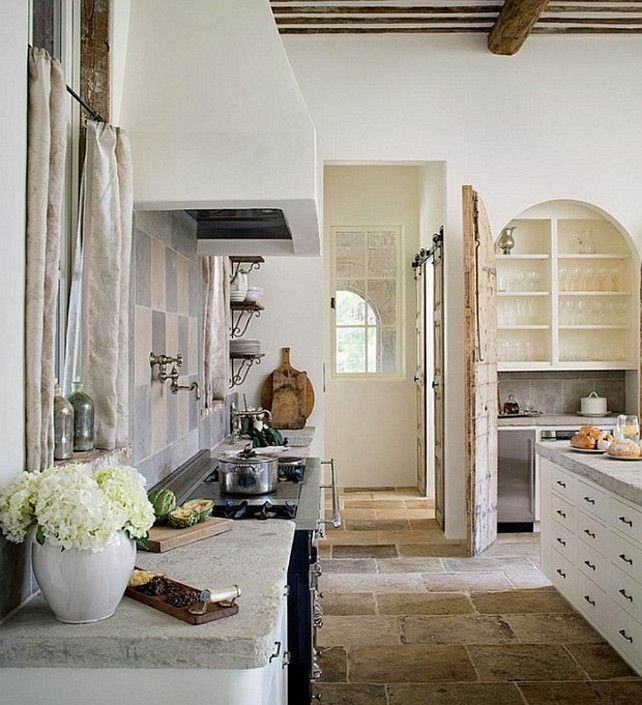 When somebody says ‘Rustic French Interiors’ my thoughts are somewhat different, albeit often wondering to spaces where said bread could be made. 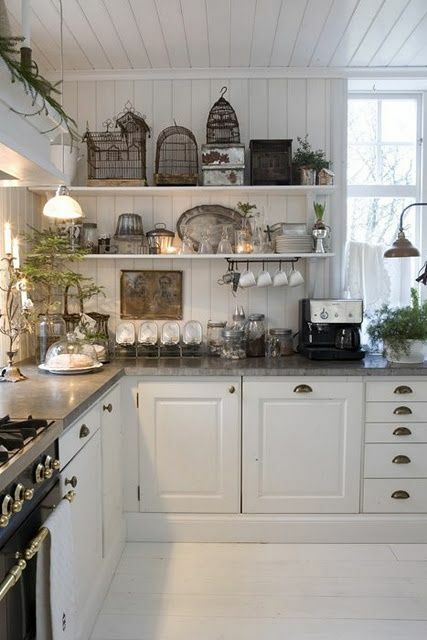 I have always thought kitchen’s are the heart of the home, where all the excitement and activity happens. They are places that bring people together to chat, cook, entertain and dine, and you can’t argue that the French are not passionate about their food. Which brings us to today’s focus. 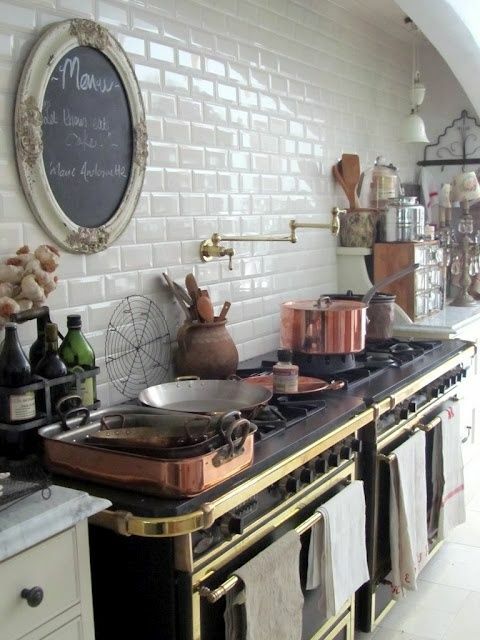 Rustic French Kitchens vary in style quite dramatically, however, there are a couple of similarities that we tend to find in most French kitchens. These include freestanding appliances, natural and raw textures, chunky fit outs and eclectic mixes of pots, pans and other practical nicknacks that are scattered around in all the right places. The combined look is homely, down to earth and unique. 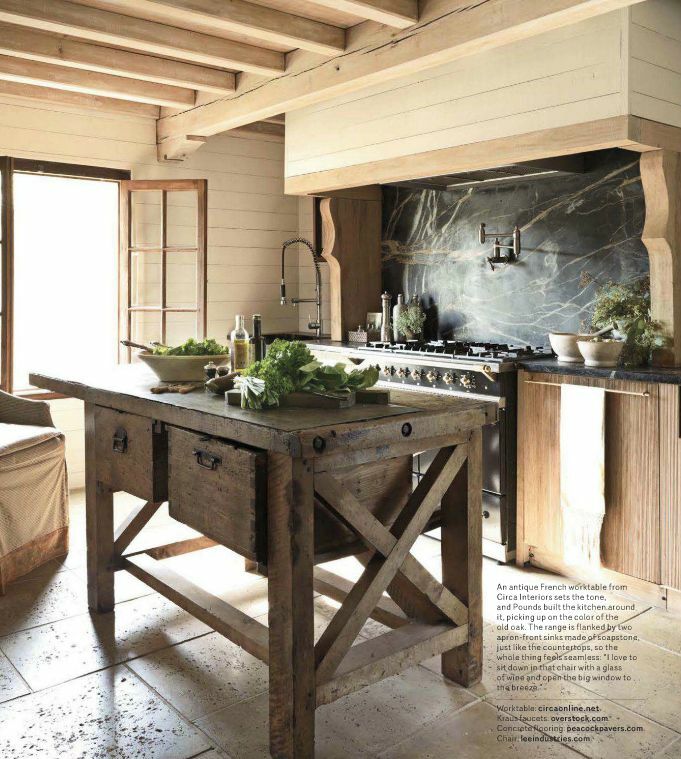 Take a look at the images below for Rustic French at it best – double points if you do so with a french baguette in hand!